Chicken Run Hardwood Chips make an ideal floor covering for your chicken run. 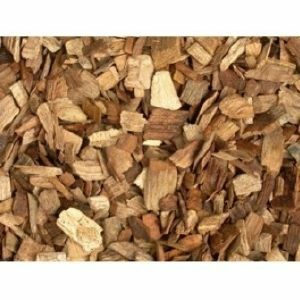 The chips are made from hard wood chippings and are 10 - 40mm sized particles, and are typically what you would find in play ground areas. Chicken Run Wood Chips are very robust and unlike bark, won't breakdown easily in the chicken run. You can use these chips on earth based chicken runs, not only do they look much better and provide a more practical surface for your chickens, the chickens love to scratch about in the chippings and they should last for at least six months. NB: We estimate a approx 18Kg bag to cover 1 metre square with a depth of 5cm. PLEASE BE ADVISED THAT DUE TO THE SIZE AND WEIGHT OF THIS PRODUCT DELIVERY COSTS ARE HIGH.